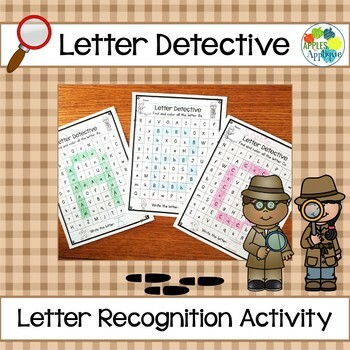 Have your students play detectives and go on the hunt for letters! Build letter recognition skills as your students identify upper and lower case letters. 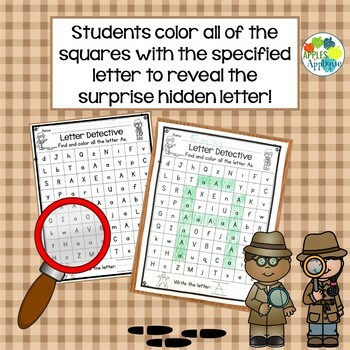 When they color in the correct squares, they will be surprised to see they’ve made an image of the letter!